Empower the church to care for orphans–until they all have homes. Learn more about the beliefs that fuel our ministry. We seek to see families move from surviving to thriving. We build communities of hope for refugee families. We consider the stewardship of contributions a privilege, and we strive for the highest level of integrity in that role. World Orphans is an accredited member of the Evangelical Council for Financial Accountability (ECFA), and our financial statements are audited each year by an independent CPA. We work hard to make the best use of our resources; therefore, management, general, and fundraising expenses only account for 12% of finances used, leaving us with 88% of every dollar raised to use on our program activities. View our 2017 Annual Report to see the impact of many people coming together to care for orphaned and vulnerable children. 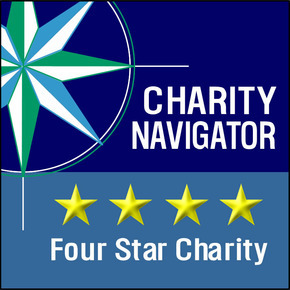 Charity Navigator's rating system examines two broad areas of a charity's performance; their Financial Health and their Accountability & Transparency. Our ratings show givers how efficiently we believe a charity will use their support today, how well it has sustained its programs and services over time and their level of commitment to good governance, best practices and openness with information. The Standards of Excellence (SOE) in Short-Term Mission is an accrediting and resourcing body for those who send, receive, facilitate, and support short-term mission (STM) endeavors. By adopting the Standards of Excellence in Short-Term Mission and displaying the SOE logo, World Orphans demonstrates that our STMs strive for Christ-centered and effective missions strategies, partnerships, and stewardship. As an accredited member, we meet the highest best practice standards established for short-term missions, showing our commitment to quality and excellence in STM. We are thankful to have a talented, passionate team of people and would like to invite you into their story. We are committed to serving the ministry with dedicated oversight and intentionality. We believe in leading by serving. Join our team in serving the orphan, the church, and each other, until they all have homes!